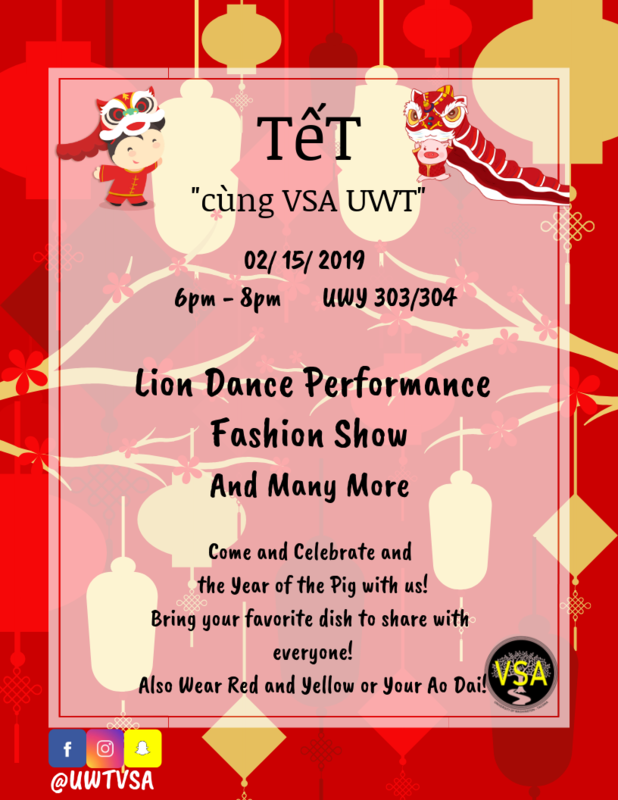 Friday, Feb. 15, 2019, 6 – 8 p.m.
Come and Celebrate Tet with VSA UWT! Its the year of the PIG, so its time to have fun and stuff yourself full! A LION Dance performance will happen around 6:15pm so come early and don't miss out on the rest of the fun! There's a lot more in store! Come and find out! Wear your ao dai but if you do not have one, wear Red or Yellow for good luck!